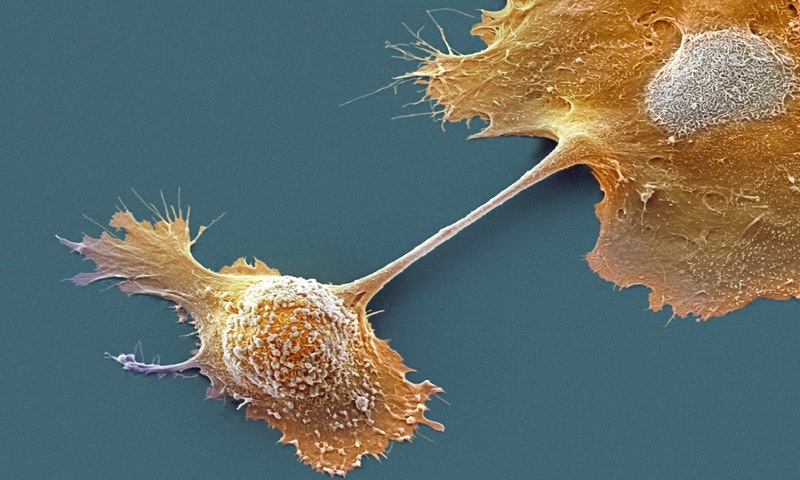 ﻿﻿Researchers have identified a molecule that pushes normal pancreatic cells to transform their shape, laying the groundwork for development of pancreatic cancer - one of the most difficult tumors to treat. Their findings, reported in Nature Communications, suggest that inhibiting the gene, protein kinase D1 (PKD1), and its protein, could halt progression and spread of this form of pancreatic cancer, and possibly even reverse the transformation. In the U.S., pancreatic cancer is the fourth most common cause of deaths due to cancer, according to the American Cancer Society. A quarter of patients do not live longer than a year after diagnosis. Pancreatic cancer can occur when acinar cells - pancreatic cells that secrete digestive enzymes - morph into duct-like structures. This usually occurs after injury or inflammation of the pancreas and is a reversible process. However, the presence of oncogenic signaling (Kras mutations, EGF-R) can push these duct cells to develop lesions that are at risk for tumor development. This model proves that PKD1 is essential for the initial transformation from acinar to duct-like cells, which then can become cancerous. "If this transformation can be stopped from happening - or perhaps reverse the process once it occurs - we may be able to block or treat cancer development and its spread", the researchers concluded. Based on material originally posted by Mayo Clinic.